Russell Henley has a reminder on his phone that goes off every day at noon to tell him he's the best putter in the world. He didn't need one Friday in the McGladrey Classic. Two items on Robert Streb's bucket list are attending an Oklahoma-Texas football game and playing at Augusta National. Andrew Putnam birdied two of the last three holes Friday for a 6-under 65 and a share of the second-round lead with Russell Knox in the Shriners Hospitals for Children Open. 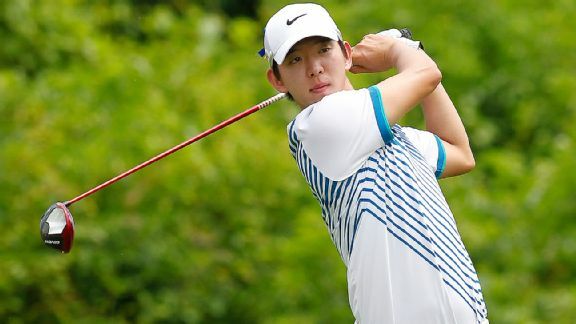 If Sueng-yul Noh can hold on to the lead in the Zurich Classic, he'll do it front of fans who can appreciate how much bigger Noh's mission is than simply winning his first PGA Tour event. Ben Martin birdied five straight holes on the back nine Saturday and finished with a 9-under 62 to take a two-stroke lead in the Shriners Hospitals for Children Open. 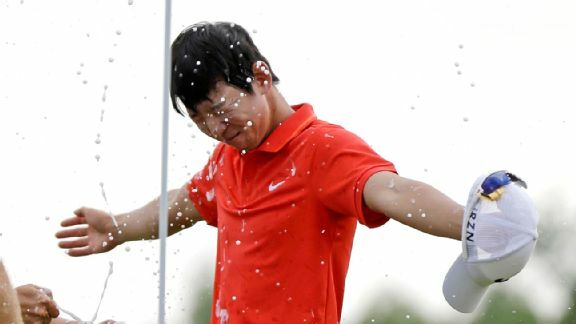 Seung-Yul Noh overcame windy conditions and his nerves, shooting a 1-under 71 on Sunday to win the Zurich Classic by two shots for his first PGA Tour victory. Stewart Cink birdied seven of the final 11 holes Thursday for a 7-under 64 and a share of the first-round lead with Martin Laird in the Shriners Hospitals for Children Open. When Ben Martin played junior golf, his father, Jim, would tell him that his demeanor should be the same every time he walked off a green, whether he made birdie or a double-bogey. Will MacKenzie made a hole-in-one and finished with a birdie for a 5-under 65 and a share of the lead Saturday with Andrew Svoboda in the McGladrey Classic.